It’s no secret I love to travel. In the past year I’ve been lucky enough to spend time in Paris, Germany, New Orleans, California, and most recently, Austin! As I boarded my flight to Texas last week, I made a silent promise; a promise that I would finally start sharing these adventures with you! Now, if you’re just here for the recipes – no hard feelings. I totally get it! But I wanted to let you know travel posts will be a new thing around here, and I hope you’ll enjoy getting a sneak peak into my adventures. So without further ado, let’s dive into my guide to Austin. My travel companion for this trip was Tessa from Handle the Heat. As food bloggers, food photographers, and overall food lovers, it’s probably no big surprise we spent most of the week eating. el Alma: We ate here twice in 4 days! 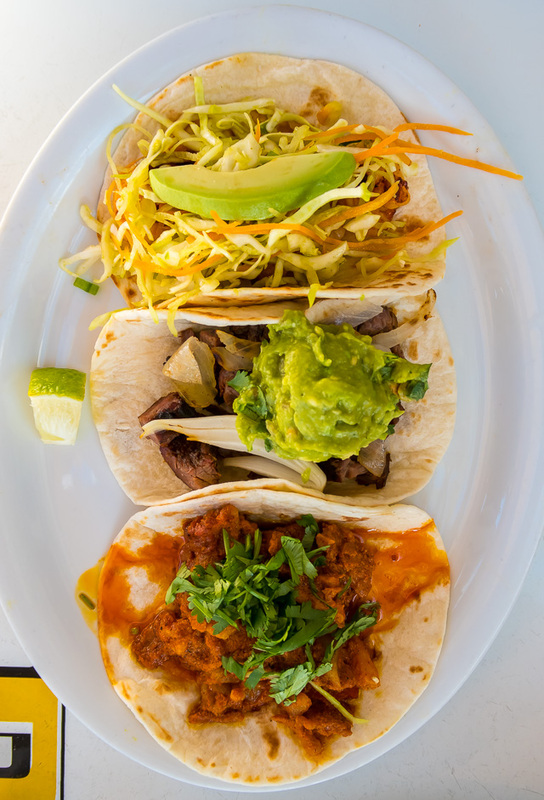 They have a beautiful patio, strong margaritas, a great happy hour, delicious tacos, and a friendly staff. If you’re a seafood lover, be sure to order the shrimp, scallop, and mango cocktail! 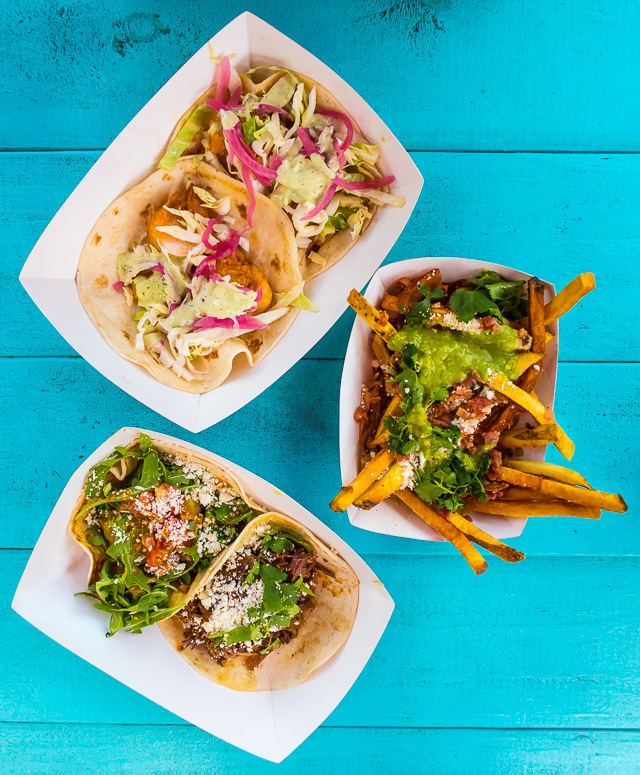 Mellizoz Tacos: This food truck makes incredibly fresh tacos (I had the shrimp, fried avocado, and carnitas) and amazing fries! 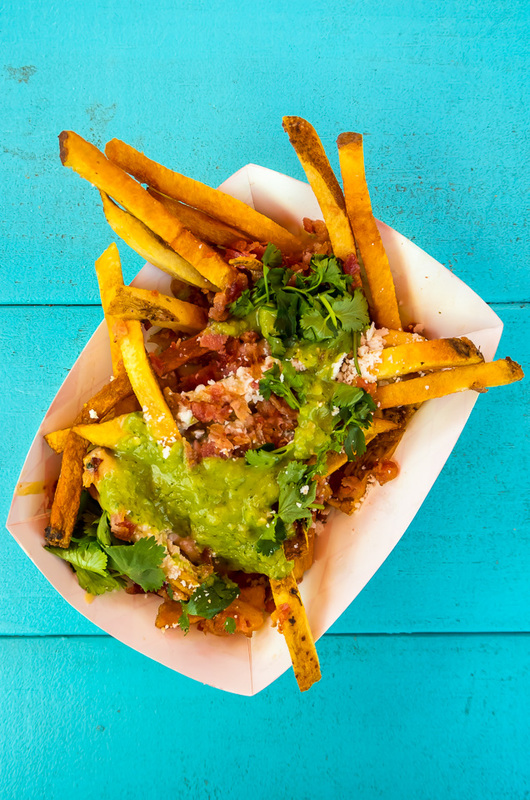 The fries were a special that day and were loaded with bacon, cheese, and chimichurri sauce. They were one of the best things I ate in Austin! This place is a great option for a casual lunch. 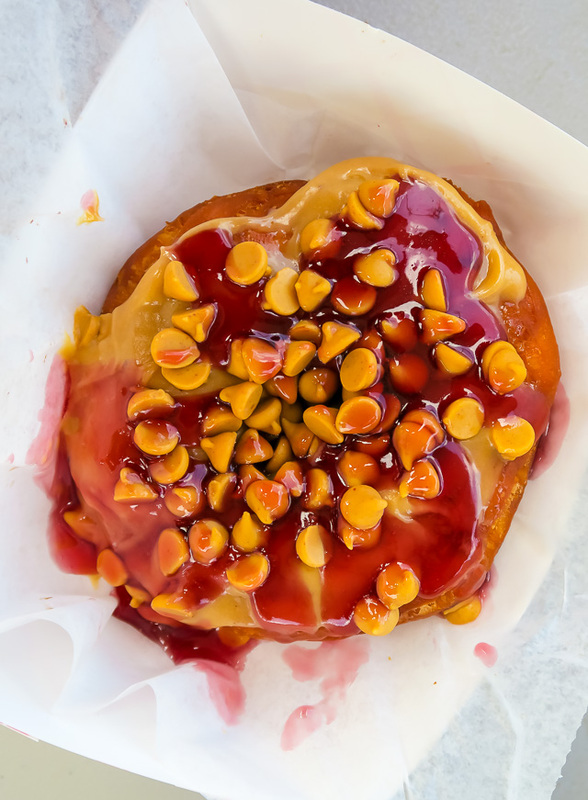 Gourdough’s: As a self-proclaimed doughnut connoisseur, I was really excited about visiting this famed doughnut trailer. Tessa and I split 5 donuts (PB&J, Nutty Valentine, Baby Rattler, Blue Balls, and Sara’s Joy) and were both blown away! The PB&J was definitely my favorite, followed closely by the blue balls. The best part about these doughnuts was their texture. They were delightfully crispy on the outside yet so light and fluffy on the inside. I’m still dreaming about them! O’JOY: A great option when you want to grab a healthy and refreshing meal. 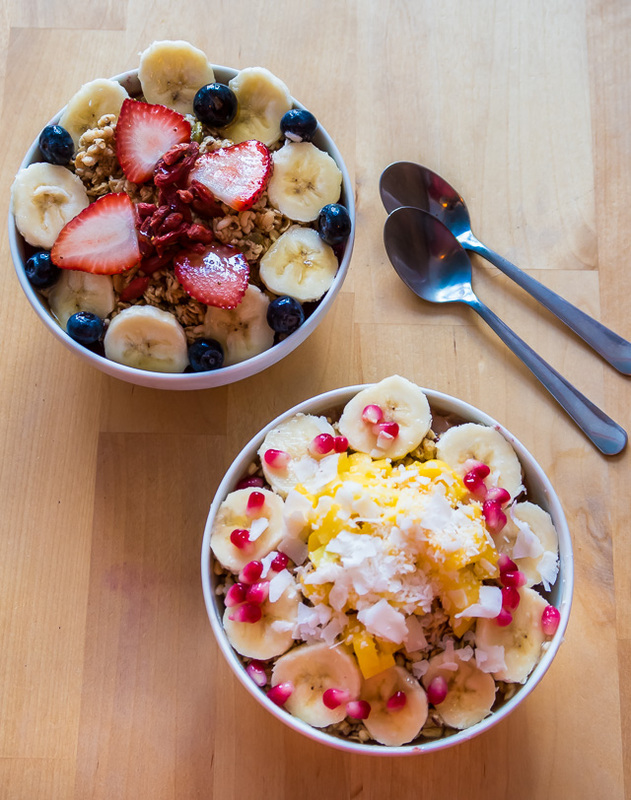 O’JOY offers fresh juices, smoothies, smoothie bowls, coffee, and light meals options like salads and wraps. Tessa had the ‘Oh, it’s a jolly holiday with Berry!’ smoothie bowl which looked delicious, and I had the ‘Name of Your Dream Vacation Spot’ smoothie bowl which I NEED to recreate at home asap. Dolce Neve: Delicious gelato! 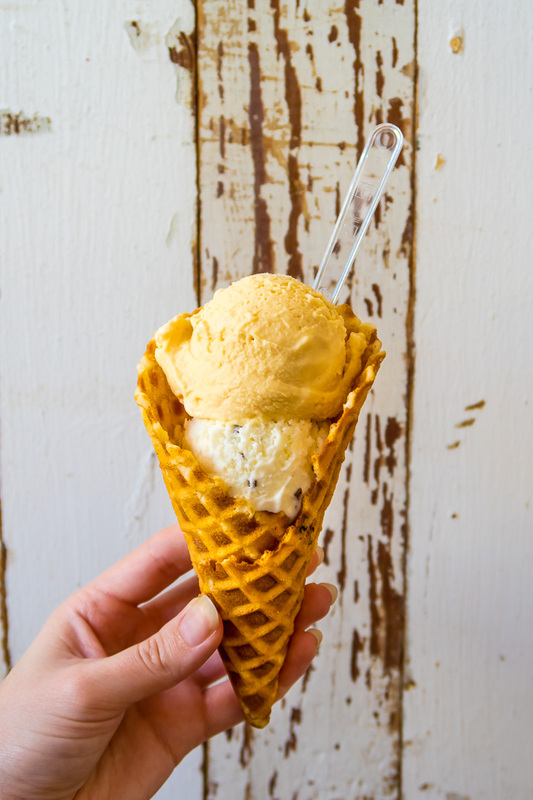 If you’re in the area, I highly recommend popping in and cooling off with a cone. The staff is friendly and more than happy to let you sample as many flavors as you’d like. I finally settled on salted caramel and chocolate chip which were both incredibly delicious. 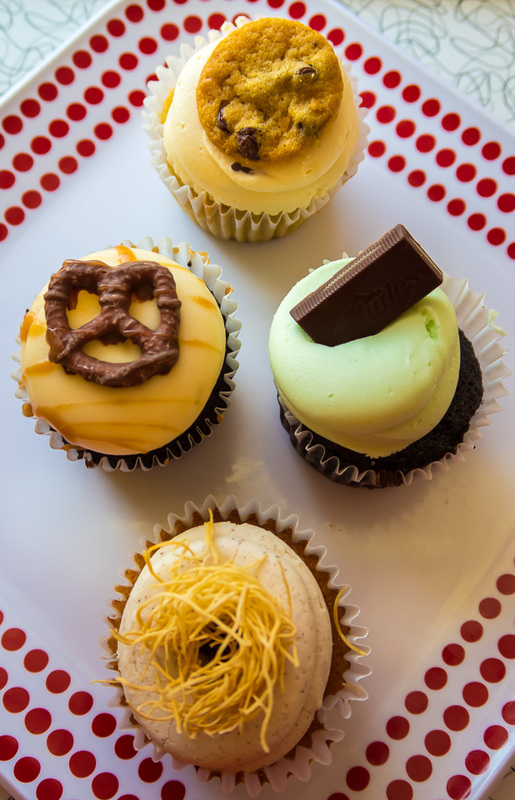 Sugar Mama’s Bakeshop: This adorable little bakery offers a wide variety of cakes, cupcakes, pies, and pastries. Tessa and I split 4 cupcakes (recipe testing!) and definitely plan on recreating some of them soon. I also loved the atmosphere of this bakery! 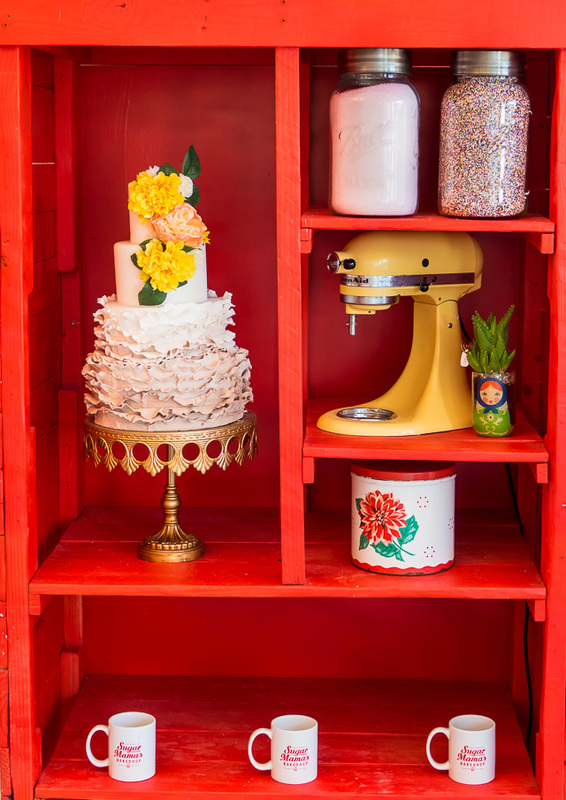 Calming white walls lined with dream catchers, large mason jars full of colorful sprinkles, and plenty of comfortable seating options made this bakery standout from the rest. 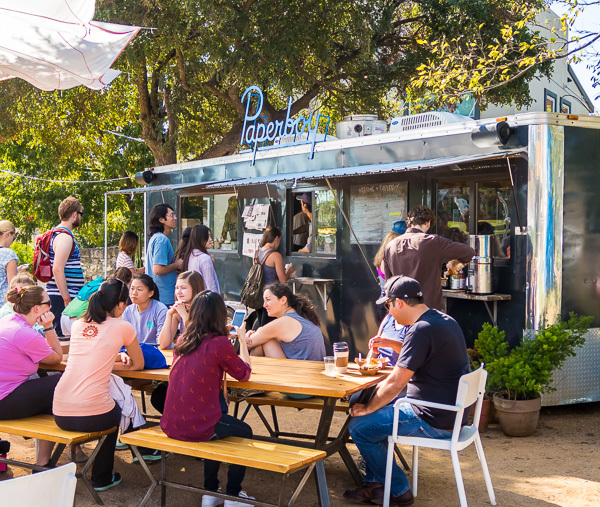 Paperboy: This food truck is very popular with locals and tourists, so expect a line! It goes fast, and you can search for a table while you wait for your food to be prepared. Tessa and I split the hash bowl, sausage and egg sandwich, a side of greens, and a watermelon agua fresca. Everything was fresh, flavorful, and delicious! A great option for a quick and casual breakfast. 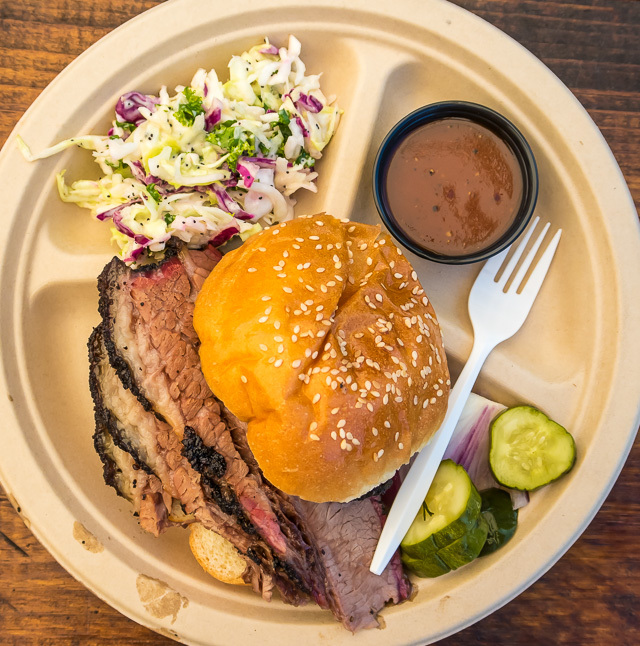 Micklethwait Craft Meats: We couldn’t go to Texas and not get BBQ! 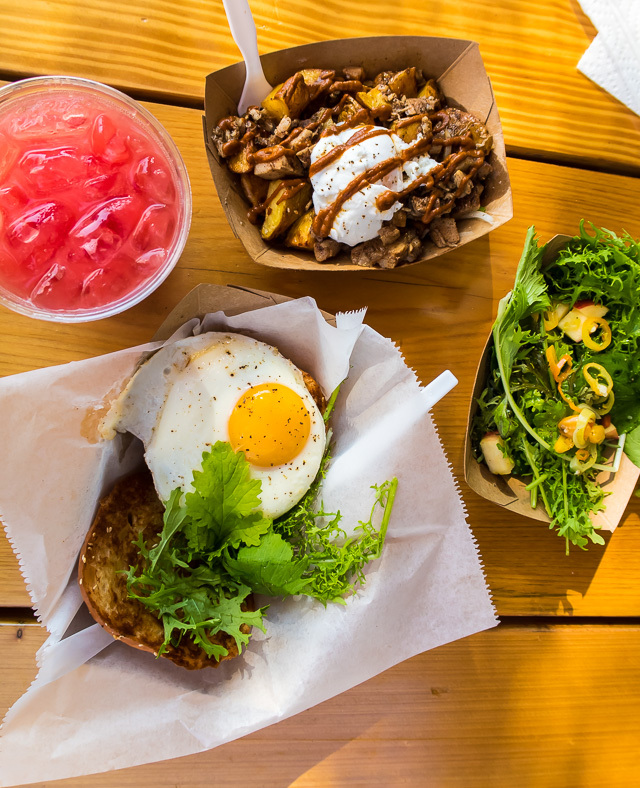 Micklethwait is a food trailer, but don’t let its humble appearance throw you off. It serves amazing BBQ! 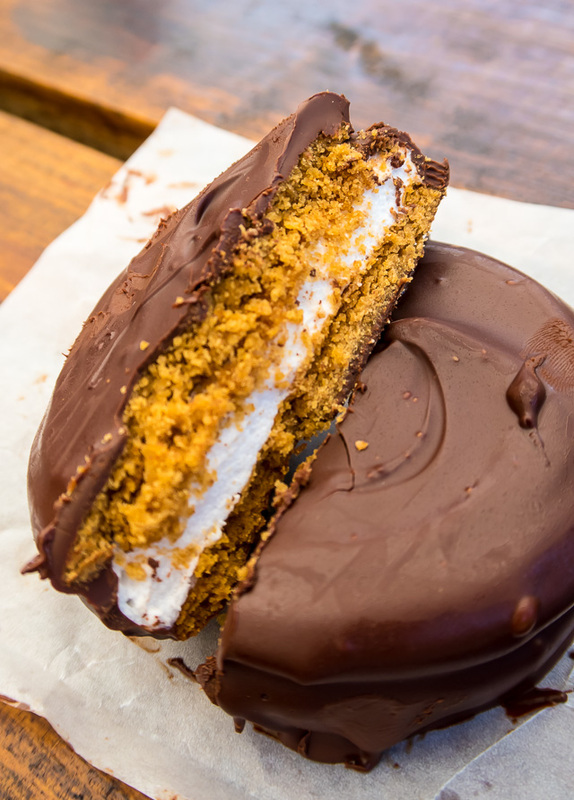 We sat at a picnic table and split a brisket sandwich, a side of lemon poppy seed slaw, a slice of pecan pie, and a moon pie. It was a decadent feast and worth every single calorie! They sell out of items early, so I recommend visiting before 2 pm if you want the full menu. HandleBar: This bar has a great vibe and an amazing rooftop patio. The bartenders were very friendly and the drinks were great. Casino el Camino: I’m a sucker for a good dive bar, and that’s exactly what Casino el Camino is. It’s a dark and cozy little hole-in-wall with an old-fasioned jukebox and a very friendly staff. We had margaritas here… and maybe a shot of tequila. I’m not telling! Hillside Farmacy: This place is adorable! They have a full menu, but we just sat at the bar for a quick drink. I had the grapefruit margarita which was bright and refreshing. Opa! Coffee & Wine Bar: This place is a hidden gem! It’s half coffee shop half lounge/bar and we loved it. We spent a few hours here, sipping sangria in a cozy booth and just relaxing. The staff was incredibly funny and friendly! It’s not the kind of place I’d recommend going out of your way to visit, but if you happen to be in the neighborhood and want to just chill for a bit, I definitely recommend checking it out. 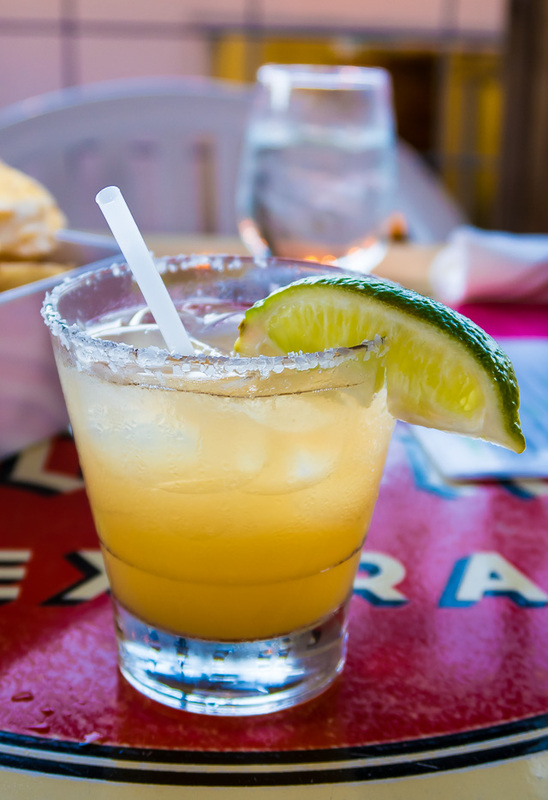 Alcomar: We popped in for their happy hour and really enjoyed our margaritas! The interior of this restaurant is bright and beautiful, and the staff was great. 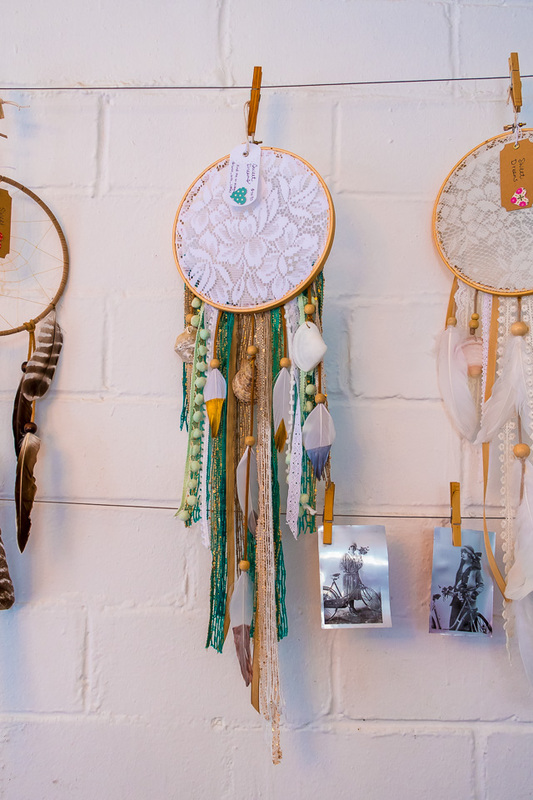 take heart: This store is simply beautiful! It’s full of small home goods, as well as lotions, oils, and soaps. I swiped up a bar of soap called Havana Breeze and it’s literally the best smelling product I’ve ever owned. 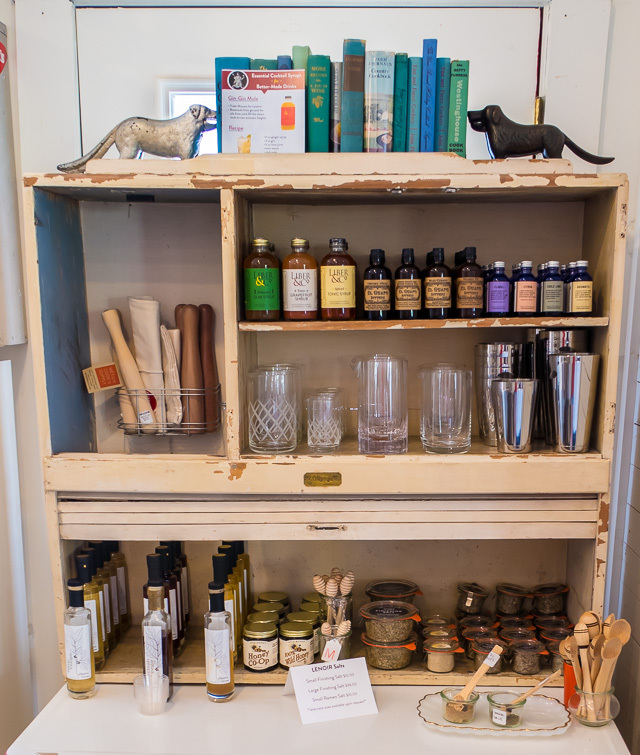 Métier Cook’s Supply: I loved this place! 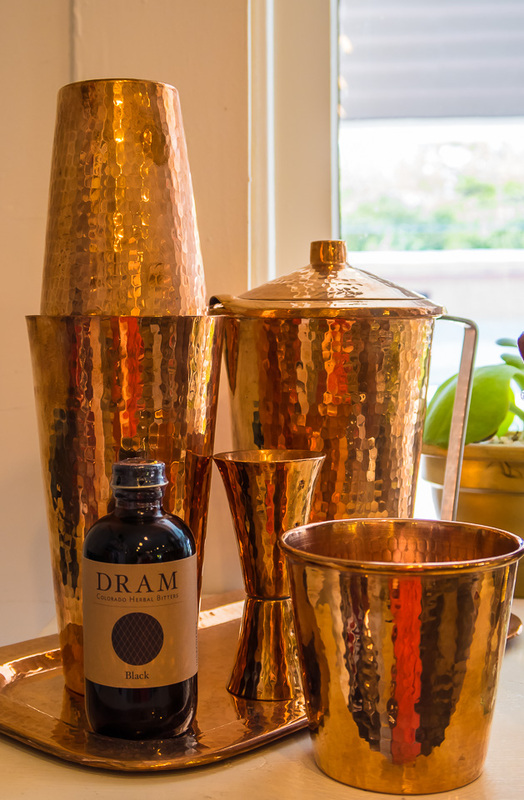 It’s full of cookbooks, beautiful barware, kitchen tools and equipment. The girl working there was also incredibly friendly and gave us some great restaurant recommendations. I would have brought home half of the store in my carry-on if I could’ve… but in the end left with a little bottle of Austin made Chile Lime Bitters. The Westin at the Domain: This hotel was clean, comfortable, and located very close to a ton of retail shops. The only issue I had with our hotel was location. It was a 30 minute car ride to most things downtown, which proved inconvenient and expensive since cabs were our method of transportation. I think this hotel would be great for families, people traveling with a car, or folks traveling on business. I have to admit the biggest shock of our trip was finding out Austin doesn’t have Uber! We also found out the hard way that yellow street cabs can be hard to come by. Lucky for us, a friendly bartender recommended the app Fasten, which is similar to Uber. If you don’t have a car in Austin, I definitely recommend downloading that app! 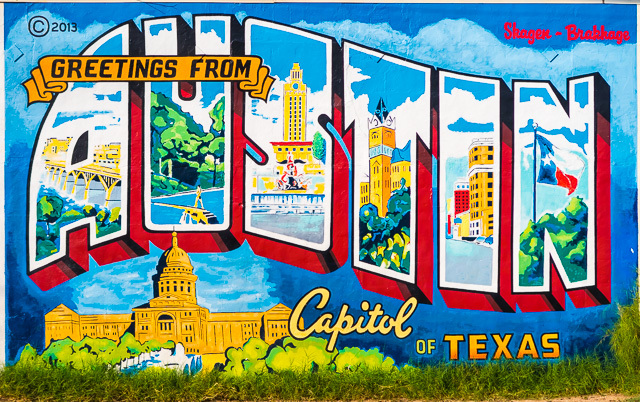 Question: Have you been to Austin? What were your favorite spots? We were there just 4 days, so I know there’s so much more we could have seen (and eaten) if we stayed longer.